More information about partnerships on this page. Elektroprivreda Srbije (EPS) is one of the largest companies in Serbia. It operates in the area of electricty production, distribution and supply, as well as coal production. Its mission is to reliably supply consumers with electricity, under most affordable conditions on the market, while constantly improving service quality and caring for the environment and community in general. The vision of EPS is to be a socially responsible, market oriented and profitable company, competitive on the European market, and influential in the region, recognized as a reliable partner host for domestic and international companies. For many years EPS has supported the most important public institutions and associations in the field of science and education: Belgrade University and schools which educate energy engineering professionals, Serbian Academy of Sciences and Arts, Nikola Tesla Institute, Mihajlo Pupin Institute, the Union of Engineers and Technicians of Serbia. In addition, EPS supports the most relevant conferences and fairs in the field: CIGRE, CIRED, Energy, Mining and Water, and the International Fair of Energy. EPS also contributes to science affirmation through thematic events such as Serbian Science Festival, Tesla Days and the European Researchers’ Night. Finally, the company supports education and science camps for children – “Viminacijum” camp and “Tara” eco camp. ABB (www.abb.com) is the world’s leader in the field of power engineering and industrial automation, whose technology helps users from public institutions, industry, infrastructure and transportation to improve their productivity and reduce carbon footprint. ABB Group operates in around 100 countries and employs around 135,000 people. Nordeus is an independent company for video games design and the creator of “Top Eleven”, one of the most popular online sports games, played by over 140 million players worldwide. The company was founded in 2010 by three graduates of the School of Electrical Engineering of Belgrade University who left their corporate careers abroad to return to Serbia with a joint vision of the game they wanted to create. Not only did they want to make a global gaming industry success, but they also committed to constantly making positive changes for their players, staff and society they live in. This has remained one of the main values of Nordeus. Today Nordeus is a team of 160 creative professionals from Belgrade, London and Dublin. The company is dedicated to good working conditions, human resource development, and general wellbeing of employees, which is why it has been rewarded as the best employer in the region. Nordeus is constantly in search for global experts and young talents who wish to join the gaming industry. Comtrade was founded in 1991 in Belgrade as a computer equipment retailer. Today Comtrade primarily exports knowledge to clients in America, Western Europe, Asia and Australia. The majority of over 2000 staff develops business software for world’s most successful companies. Comtrade’s strategic partners are ICT giants such as Microsoft, HP, Citrix, Oracle, F5, EMC and Nutanix, while clients include Ryanair airline, Viber communication platform, and CERN – the European Organization for Nuclear Research. Clients from various industries: finance, power engineering, medicine, telecommunications, etc. Almost a quarter of students who come to EDIT – Comtrade Programming Summer School join the company and its projects around the world. HDL Design House offers services in the field of design and verification of SoC integrated circuits, as well as development of IP cores and simulation models used in “System/Product Level” simulations. The company complies with international standards of quality ISO 9001:2008 quality management and ISO 27001:2013 information protection management. The company was founded in 2001 and currently employs 120 engineers who work at development centers in Belgrade and Cuprija. Since its beginning, HDL DH has very successfully participated in R&D projects with companies such as NXP, Fujitsu, AMD, Infineon, CEVA, Cadence, Honeywell, Broadcom, Texas Instruments, Sensirion, uBlox, Siemens, Ericsson, Intel, etc. ELSYS Eastern Europe is one of the leading European companies in the area of complex integrated circuit and electronic system development. Its engineers are experts in various fields necessary for development of digital, analog and mixed-signal integrated circuits and its portfolio includes system solution and embedded system development. Clients are based in the US, France, Germany, Switzerland, Israel, Japan, etc. ElSYS belongs to the international ADVANS group, which specializes in developing complex projects in the area of application software, electronic system and mechanics. There are two development centers, in Belgrade and Novi Sad. K.L.A.IN.robotics is located in Brescia. We are distributors for Italy and ​I​talian speaking Switzerland of robots for the Factory Automation and Mechatronics components. Our business is mainly divided into two sectors: The first one is the distribution of components for Factory Automation, to specialized System Integrators; they build assembly lines and special machines, for handling and feeding systems for machine tools in general in fields such as cosmetics, medical, pharmaceutical, food, electronics, fashion, eyewear, quality control with or without imaging,plastic molding, and so on. The second one is the Active Service, which provides training courses to learn how to use the mechatronics products, as well as assistance an support to customers or to potential customers in the selection process and/or in the development of projects, or in the start-up of installed products and in the testing of cycle times with simulations in the field of software development. Enel is an engineering company operating in the field of industrial automation. Enel’s services of designing, producing and programming automation control systems is used by a number of machine producers as well as companies from a number of sectors of industry with their own production. In addition, Enel has developed a line of high-performance flexo printing machines named Vallis (www.vallis-technologies.com). As a constantly growing company, Enel pays special attention to technological development of products and services, offering young automation engineers ideal conditions for professional development and work with cutting-edge technologies currently used in industrial automation. Roaming Networks is one of the leading system integration companies in the ICT field in Serbia and the Balkan region. We provide professional consulting, design, implementation, integration and maintenance services in the fields of radio and microwave access networks, passive optical networks, transport and access systems, IT infrastructure and data centres, security solutions and packet networks and infrastructure. In recent years we have built a strong presence in the markets of Serbia, Montenegro, Bosnia and Herzegovina, Austria and Germany. Roaming Networks employs more than 400 skilled professionals. We have partnership with 15 global firms. By steadily developing and growing we strive to expand into new markets in Europe, USA and the Middle East. Microsoft Development Center Serbia - MDCS, opened in 2005, is the fourth largest Microsoft development center in the world. Its team is made up of over 200 young people, top notch experts in the field of computer science and applied mathematics. MDSC was created with the aim of taking part in developing new Microsoft technologies by recruiting talents from Serbia and the region. Vast.com is a leading vertical search engine and the leader in developing Big Data technologies in car, real estate and travel markets, with over 30 million users per month. The company develops products for "Fortune 500" companies, and some of its clients are AOL, Yahoo, CarFax, HomeCircle, etc. Vast’s headquarters are in Austin, Texas, while its development centers are in Belgrade and Kiev. Belgrade office hires 140 people. Siemens AG, global technological leader is known for its technological advances, innovation, quality and reliability of products and services. With over 348,000 staff in over 190 countries, the company focuses on electrification, automation and digitalization. Siemens has existed in Serbia for 130 years, with the aim of contributing to the development of industry and infrastructure. In Serbia there are 1,900 staff working in all areas which Siemens covers. 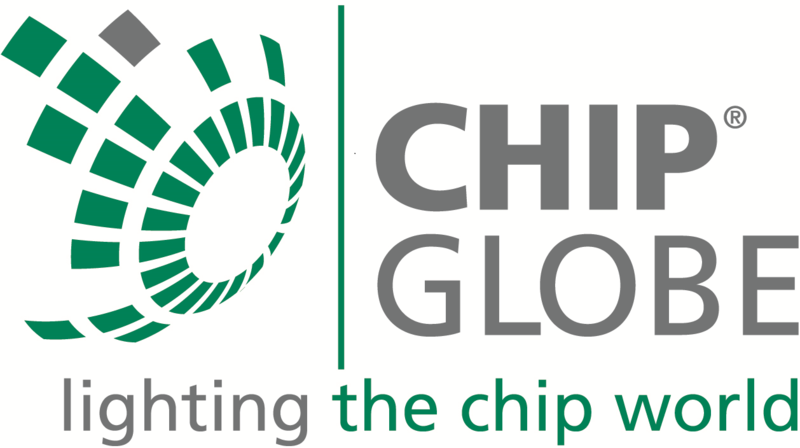 LOGO is one of the leaders in the area of integrated solutions and ICT engineering. It was founded in Belgrade in 1990, and in 2003 it opened its first factory for the assembly of optical cables. With over 70 employees, out of whom as many as 20 are engineers with professional licenses and certificates, LOGO successfully realizes its ICT solutions across Serbia, the Balkans, the EU and Russia. RT-RK d.o.o., founded in 1991 in Novi Sad, offers software development services and software solutions in the area of computer-based systems, focusing on multimedia, communication and software for car industry. Based in Novi Sad, with branches in Belgrade, Banja Luka and Osijek, RT-RK hires over 800 information technology professionals. It is accredited by the Ministry of Education, Science and Technological Development of the Republic of Serbia as an institute for research and technology, which confirms the company’s research potential. SpiceFactory is an agency specialized for cutting-edge digital products whose clients are traditional companies from various industries – automotive, telecommunications, IoT, BigData. The company also offers SaaS products: Concept – tool for prototyping and user testing of application interface, Sava – event management platform with chat bot as an interaction mode, and Cognito – chat bot platform for financial and insurance institutions. M2E is a multidisciplinary engineering consulting company founded in 2005, with offices in Miami, West Palm Beach and Belgrade, with 58 employees from all over the world. The company offers a diversity of talent, abilities and expertise in the following engineering service areas: quality control and monitoring in all areas of engineering, expert witnessing in trials, and design in the areas of civil, electrical and mechanical engineering. M2E’s Belgrade office has developed their own application for quality control and monitoring used in numerous construction sites in various markets. Drillinginfo delivers business-critical insights to electricity, oil and gas industries through a state-of-the-art platform built on industry-leading data and energy analytics. The software is created by small teams of highly talented individuals that use cutting-edge technologies and push the envelope of what’s possible. For over 48 years AMD has made innovation in the area of high performance computing, graphic and visualization technologies – building blocks of data centers, gaming and embedded platforms. Hundreds of millions of users of the leading “Fortune 500” companies and top research institutions around the world rely on AMD technologies in order to improve their business, life and entertainment. AMD staff around the world are focused on creating fantastic products and pushing the boundaries of what is possible. Nortal is a multinational strategic change and technology company. Combining the unique experience of transforming Estonia into a digital leader and creating change in businesses with a strategic approach and data-driven technology, our vision is to build a seamless society. Nortal operates in nearly 20 countries and employs over 700 specialists who carry out high-impact projects across Europe, Middle East, Africa and the United States. In 2006, Nortal opened an office in Serbia, in Belgrade, employing over 30 people working on projects with wide impact in the Middle East and Africa. For more information about Nortal, visit www.nortal.com. 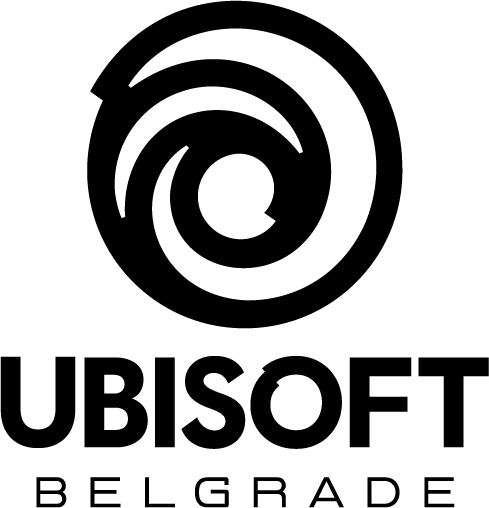 Ubisoft Belgrade is one of numerous Ubisoft studios across the world that work on development of AAA video games. In this studio we currently work on development of both PC and console versions of three big titles – Ghost Recon, Steep and The Crew. As our team is consisted of young, enthusiastic people hungry for knowledge, we constantly try to grow and broaden our expertise with the goal of bring even more interesting projects and mandates to Belgrade. FishingBooker began as a humble experiment based on a single landing page in the summer of 2013. Since then, it has grown with the help of people who believe that providing world-class service from Serbia is more than possible (both in terms of customer service and software development). FishingBooker is currently the largest and most successful fishing tourism service in the world – a service that Americans spend $2 billion on every year. NDC company is present for 30 years in the Serbian market in designing, engineering and consulting in the field of electrical engineering. Company is engaged in leading actual projects in Serbia such as the construction of a new block at the thermal power plant Kostolac B and many others that are essential for Serbia. Company accomplishes his multi-year cooperation with the largest companies in the field of electrical engineering, such as Electric power industry of Serbia, Oil industry, ABB, Siemens, CMEC and many others. Vetroelektrane Balkana (WEBG) is the project company that owns the Cibuk 1 wind farm, the largest wind farm in Serbia with a capacity of 158 megawatt. Covering an area of 37 square kilometers, Cibuk 1 is situated around 50 kilometers outside Belgrade. Comprising 57 wind turbines, the project is expected to provide electricity to 113,000 homes and displace more than 370,000 tonnes of carbon dioxide per year.